Almost every leader that I know fights a daily battle between the Urgent and the Important. The Urgent demands your attention right now. Urgent activities for many leaders include things such as crises, deadlines, meetings, and things that we must respond to. The Urgent is the world that many leaders live in, feeling like they never quite have time to get everything done that demands their attention. The Important are things you don’t necessarily have to do right away, but are essential for long-term success. Important activities on the personal side include things such as time with God, exercise, rest, investment in your family, and investment in quality relationships. Important activities in leadership include things such as professional growth, vision and strategy, leader development, planning, and goal setting. The Important is the world that most leaders simply don’t spend enough time in, and suffer long-term consequences for failing to do so. Quadrant 1: Important and Urgent. Do it. These priorities are both urgent and important. They are things you must do. Time in Quadrant 1 is reduced, however, by devoting more time to Quadrant 2. Quadrant 2: Important but not Urgent. Decide to Do it. You don’t have to complete these priorities immediately. This Quadrant is where the best leaders devote as much time as possible. Weaker leaders complain about just not having the time to do these things because they are too busy. Most leaders spend far too little time in quadrant 2. Quadrant 3: Unimportant but Urgent. Delegate it. These priorities demand response but are often not the best use of a leader’s time. Delegate as many of these activities as possible. Don’t let these things stop you from spending time in Quadrant 2. A good leader spends the majority of his time working in the areas that he is uniquely called and gifted to do. Can anyone else other than you do it? Then delegate it. 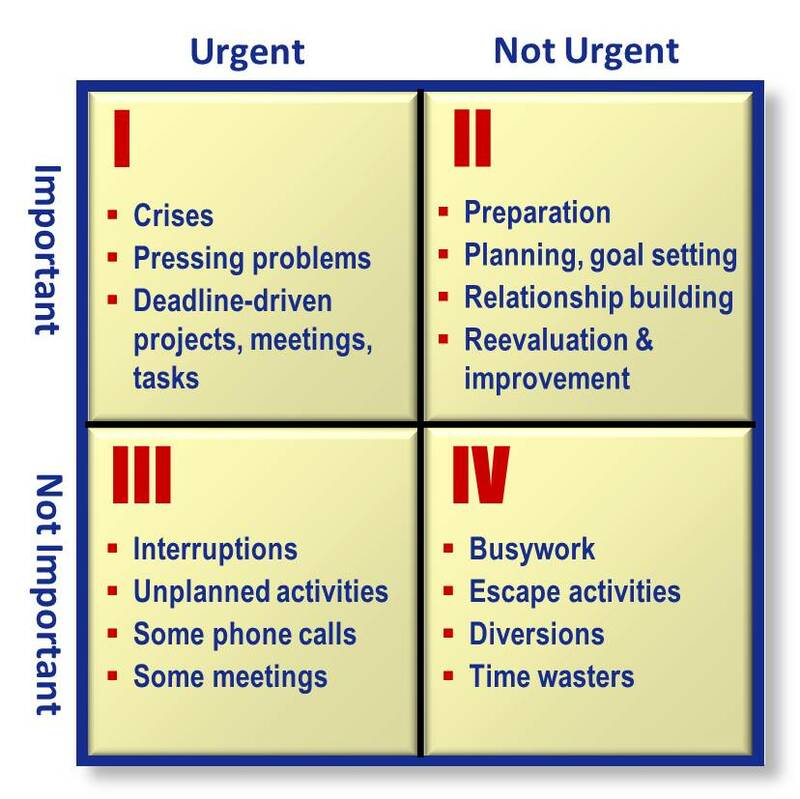 Quadrant 4: Not Important and Not Urgent. Dump it. These activities are not priorities. They are time wasters and add little value to your life. Quadrant four does not include rest, quality relationships, or necessary recreation. It does however include watching the Bachelor, being a Facebook stalker, reading articles on the Kardashians, or analyzing the fashion of the stars at the Oscars. 🙂 Good leaders avoid spending time in Quadrant 4. Many leaders spend nearly all of their time in Quadrants 1 and 3 and far too little time in quadrant 2. A leader that spends most of his time in the urgent fails to give attention to the things that truly matter. 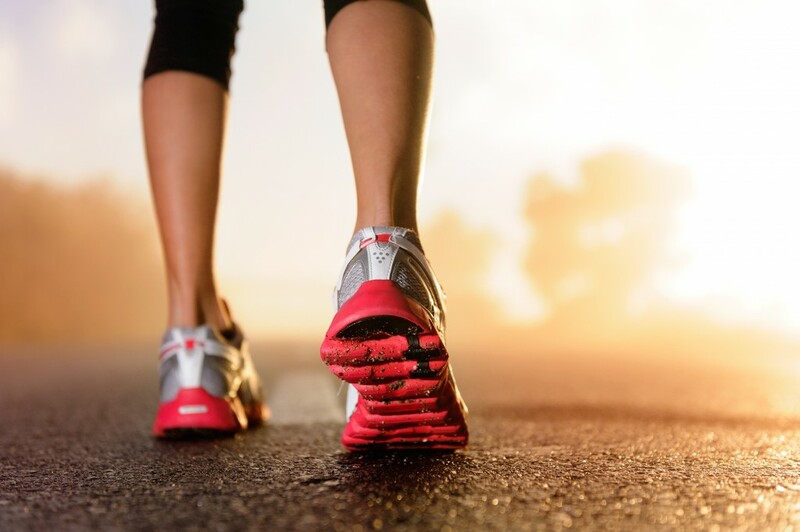 Have you made time to exercise several times weekly? Are you investing in as well as present to your family? Are you investing in quality relationships? Do you devote at least 4 hours weekly to alone time for vision and planning? Or better yet, 8 hours? Are you working ahead rather than constantly being under the gun? (Pastors) Are you still preparing your sermons on Saturday Evenings? Does everyone else control your schedule – leaving you no time in quadrant 2? Do you run from meeting to meeting wondering if the meetings will never end? What activities from quadrant four can you eliminate? What activities from quadrant 3 can you delegate? How can you increase your time in quadrant 2? Quadrant 2 Leadership is the substance of real leadership. If you are interested in next level leadership, carve out a couple of hours, answer these questions, and make more time for Quadrant 2.